Non-profit organization, the Non-Resident Indian (NRI) Welfare Society of India has just announced the recipients of two of its prestigious, yearly awards: the Mahatma Gandhi Pravasi Samman Award, and the Hind Rattan Award. This year, the India-based organization carefully selected two accomplished faculty members of the University of Texas, Arlington. 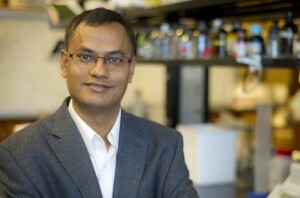 The Mahatma Gandhi Pravasi Samman Award will be given to Subhrangsu Mandal, Ph.D., an associate professor of chemistry and biochemistry at the university, this October at a conference in London. Come next year, in January, fellow chemistry and biochemistry professor, Krishnan Rajeshwar, Ph.D., will receive his Hind Rattan Award during a conference in India. The NRI Welfare Society is a dynamic board of prominent Indian leaders that give due recognition to non-resident Indians all over the world who have made significant contributions to society through exemplary work and an admirable way of life. Before the two awardees were recruited by UT Arlington, they first earned their doctorate from the Indian Institute of Science in Bangalore, India. Rajeshwar shared that he sees this award not as a personal accomplishment, but more of a victory for Indians making names for themselves abroad. He has been teaching at the university for more than 30 years now, and became a charter member of the UT Arlington Academy of Distinguished Scholars. He has authored over 400 peer-reviewed journal articles to date. 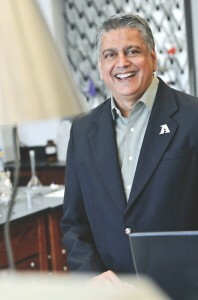 Mandal, who began teaching at UT Arlington in 2005, is grateful for the recognition he and his fellow Indian scientists have been receiving. One of his latest research projects focuses on the potentially dangerous effects of BPA – a study funded by the National Institutes of Health (NIH). UT Arlington has been making great steps towards fostering ethnic diversity among its faculty and student body. This fall, the university will be launching its ASSURE Student Research Program for 24 science major freshmen, and one of the things they will be looking for in candidates is their potential representation of a minority population for when they pursue a STEM career.